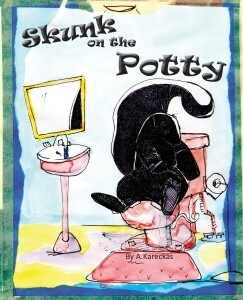 Skunk on the Potty is a comprehensive, imaginative and entertaining book for readers of all ages. This charming, genre-bending narrative has been created to teach the topic of waste-water treatment. Where does it go after we go? Follow Zorillo the skunk through this brilliant story as Rick Rotifer, master plumber, explains the ins and outs of turbulent flow.